Turkey’s central bank signaled higher interest rates are in the offing after inflation rose more than forecast in August and producer prices surged. The lira briefly erased losses after the announcement. “The monetary stance will be adjusted at the September monetary policy committee meeting in view of the latest developments,” the central bank said in a statement, citing the deterioration in the inflation outlook. Monetary policy makers tipped their hand 10 days before they are scheduled to meet after new data showed prices rising at the fastest in 15 years as the run on the lira takes a toll on consumers. Inflation accelerated a surprising 17.9% last month and producer prices climbed more than 32%, Turkstat reported on Monday. By signaling a hike, the bank has also created expectations that the increase will be big enough to stem the rise in inflation, according to Piotr Matys, a currency strategist at Rabobank in London. 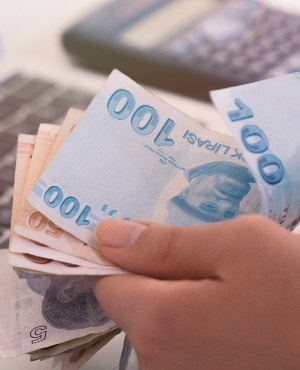 The lira trimmed losses after the statement and was trading 1.2% lower at 6.6180/$ at 11:16 in Istanbul. The annual inflation rate rose to 17.9% in August from 15.9% the previous month, exceeding the median estimate of 17.6% in a Bloomberg survey. Turkey’s state statistics office said the monthly inflation was 2.3%, compared with 1.84% in a separate survey. The even faster rise in producer prices suggested that manufacturers and service providers are finding it difficult to pass on some of their added costs to end-users just yet, but eventually they will have little choice. Inflation data show consumer demand collapsing, and it could weaken further if borrowing costs are raised, according to Bluebay Asset Management LLC strategist Tim Ash. The currency lost more than 40% of its value against the dollar this year even as the central bank raised costs by around 5 percentage points before the latest run on the lira. The bank used fringe tools and an extraordinary lending mechanism to increase the cost of cash it provides to commercial lenders from mid-August to deliver another 150 basis points of tightening. Energy index, which tracks the price of power and refined oil products, rose 21.34% from the previous year, compared with 17.5% in July Core inflation, which excludes volatile items such as gold and energy, accelerated to 17.22%, compared with 15.1% during the same period Food prices, which makes up nearly a quarter of the consumer inflation basket, rose an annual 19.75%, up from 19.4%. Producer prices rose an annual 32.1%, from 25%.